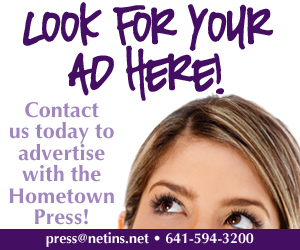 News footage of the aftermath of widespread flooding in Nebraska and Iowa touched the heart of Denise Staecker of Sully and prompted her to take action. Within 30 minutes of seeing the devastation on TV and speaking with Heart of Worship Pastor Tom Pool, she had a plan of action in place that would involve the generosity of the entire community. The plan culminated bright and early Friday morning, Mar. 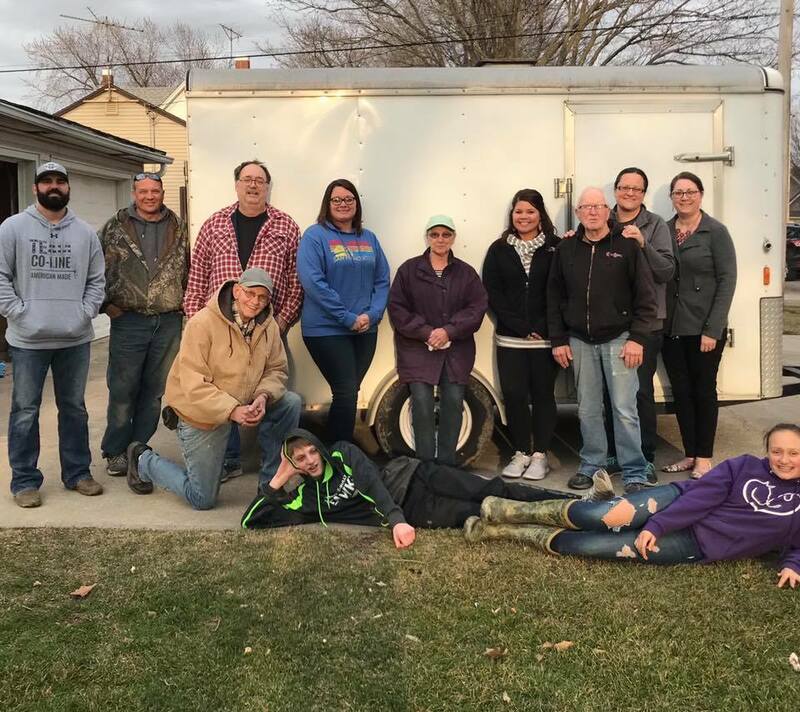 29, when Heart of Worship members delivered a trailer full of donated clothes, food, and water to a Council Bluffs trucking business that was coordinating donations for flood victims along Interstate 29. Staecker said she was immediately given permission by Heart of Worship Pastor Tom Pool to use the church’s trailer to haul donations of clothes that were generously given by community members originally intended for the church’s annual Pay It Forward event. Food and supplies came from the church’s Heart to Heart Food Pantry as well as donated goods from the congregation. Vern Hartgers donated 465 of his handmade toy cars for young children displaced by flood waters. Heart of Worship congregation members pose after loading a trailer full of donated goods from the community on Thursday, Mar. 28. The next day, several volunteers brought the donations to Council Bluffs for flood victims: Front row, Vern Hartgers, James Gruver, Paige James; back, Ryan Johnson, Mark James, Dennis Staecker, Kelli Johnson, Marge Hartgers, Kristi Brummel, Earl James, Heather James, and Denise Staecker. “It was definitely a community effort! Without the generous donations of clothes for our Pay it Forward event and food and supplies for our Heart to Heart Food Pantry, we wouldn’t have been able to bless those who have lost everything in the floods,” said Staecker. Church volunteers helped load the trailer Thursday evening. The following morning, a team of volunteers drove to Council Bluffs with the donations. In addition to community members who have dropped items off at the Pay It Forward shed, Heart of Worship church members involved in the loading and unloading process included Staecker along with her husband Dennis and daughter Katie; Earl, Mark, Heather, Kynlee, and Paige James; Kristi and Jeff Brummel; Janise and James Gruver; Vern and Marge Hartgers; Mitzi Smith; Ryan, Kelli, and Kendrick Johnson; and Wyatt Mathis. The donations wouldn’t have been possible without the generosity of the entire community. Staecker expresses her gratitude for everyone who continues to support Heart of Worship’s Pay It Forward event and Heart to Heart Food Pantry through donations or monetary gifts. “We are so proud of our community and our congregation,” said Staecker.